Episodes 3 and 4 show less history but the story in Mr. Sunshine is still just as interesting. Here are my selected history pieces for episode 4. As Hina welcome’s the army to the Korean Empire it’s made clear that the story has moved ahead in time. Joseon is now The Korean Empire: King Gojong pronounced Joseon an empire in 1897 and he became an emperor (also Queen Min became posthumously Empress Myeongseong). Korea remained an empire until it was annexed by Japan in 1910. 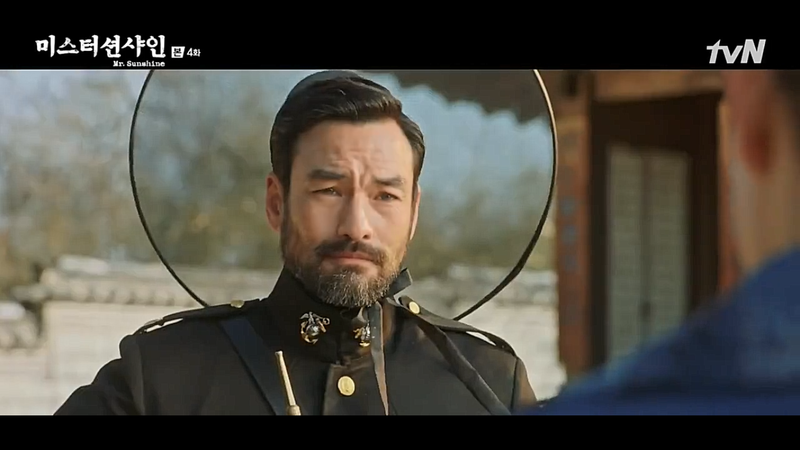 *edit: Joseon had changed to the Korean Empire before this episode but it is mentioned by name here for the first time. Gat was a hat worn by men. It had different varieties depending on the wearer’s social status and usage. This type of gat is called heukrip and it was popular during Joseon. As all fashion, gat could be made with different materials, decorations and sizes depending on what was popular. 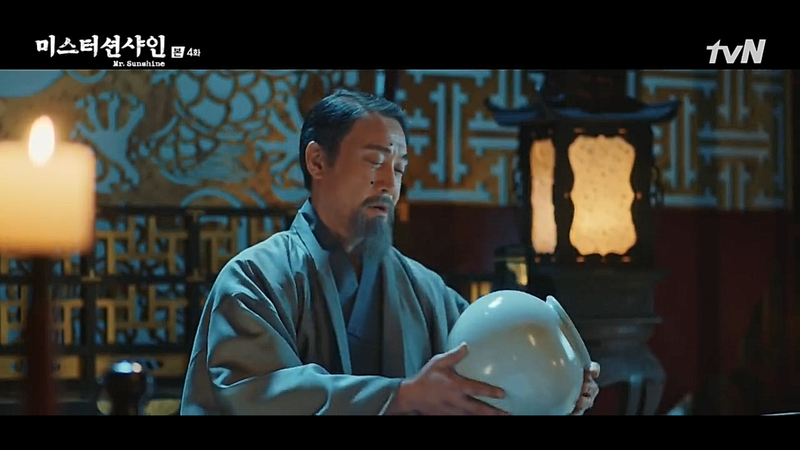 We see Ito Hirobumi (I introduce him a bit more here) admiring Joseon porcelain. Japan actually admired Joseon’s pottery for a long time and during the Hideyoshi invasion in the 16th century they even kidnapped a lot of Korean potters to Japan. The porcelain was in popular use during Japanese tea ceremonies. An extra info bite here, during the Joseon dynasty most of the porcelain made was white and without decoration: it suited the highly Neo-Confucian society and decoration colors were rare and expensive. Well, I could’ve introduced this earlier but here it is finally. Norigae was a traditional women’s accessory during Joseon. It could be made from expensive materials (gold, jade etc.) and was decorative. As it could be worn by women of all classes the materials used and its size told the status of its wearer. Of course, there were different norigaes depending on the occasion.